My name is Daniel, I come from Dublin in Ireland. 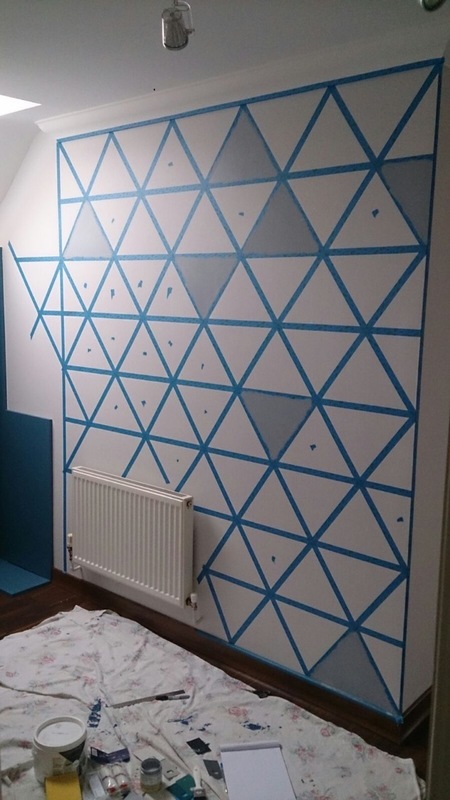 I just wanted to send you a quick mail to say thank you for your post on the painted triangles in your hallway! And for fun, here is a side by side of Unpatterned's and Daniel/Darren's. The process is IDENTICAL! 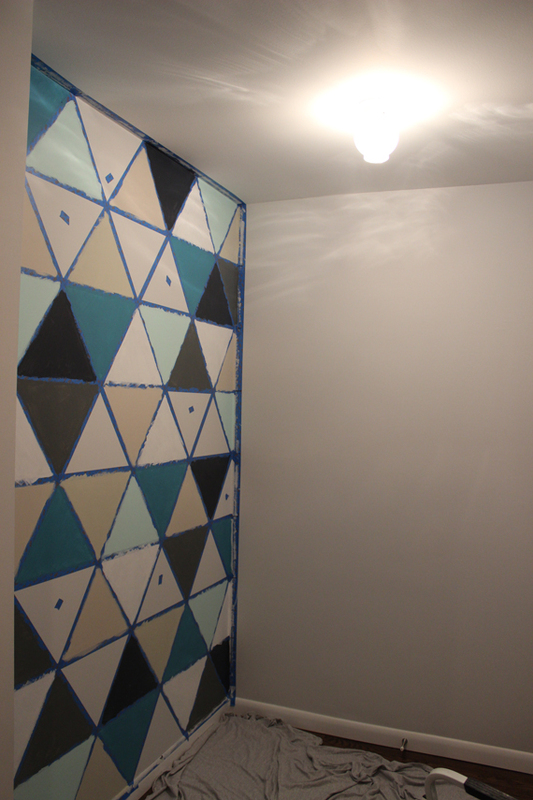 I love seeing this iteration of the stencil Brad and I created together. Now I'm getting inspired to create another stencil for a client and for my next DIY project - some kind of art to hang on our garage in the backyard. What's your next project?! Thanks to Daniel and Darren for sharing this!